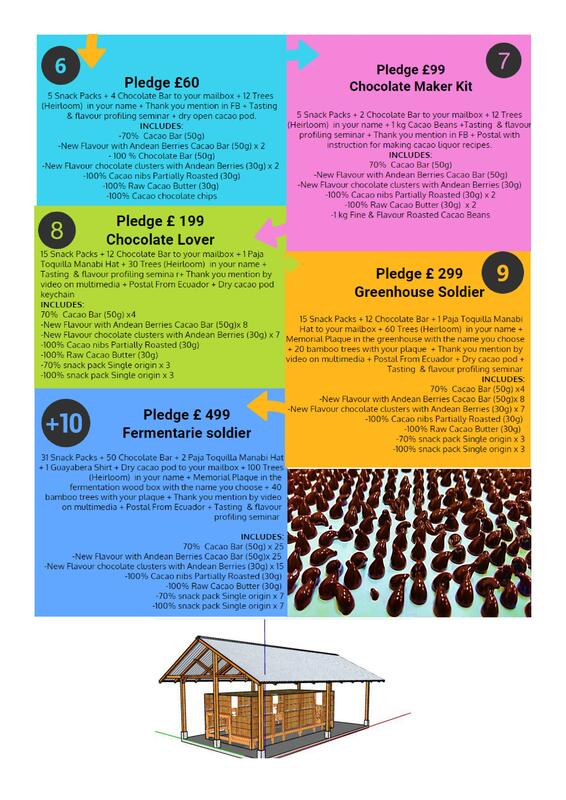 I'm raising £15.000 to produce single origin, direct trade, super food chocolate which will help to build the first micro family farm fermentarie and sustainable plant nursery in Manabi Ecuador. - Sandra Molina, Founder of Saneli Farm Manabi and social interaction. - Mateo Urresta, Designer and Corporative branding. 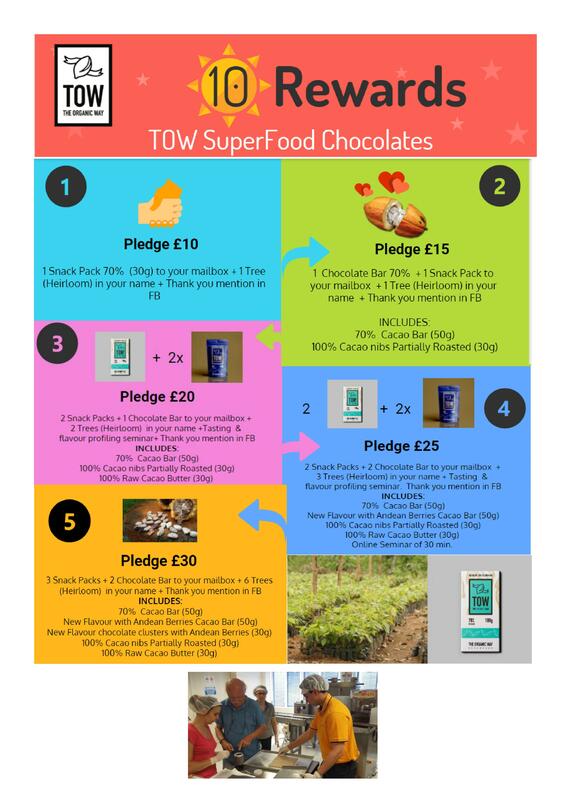 Hi my name is Paula and I'm the Co-Founder of TOW SuperFood Chocolate and in 2013 we start working with Pedro in our chocolate brand and handmade production, one of the things that I love about TOW is the friendship and relations that we built with farmers and consumers. We produce "tree to snack" artisan cacao beans and chocolate so we can show to the world how the hard work of farmers should be recognize and support. When we reach our minimum ! First a Huge hug if you are near us. Production and shipping of 200 bars of Direct Trade Fine & Flavour Cacao Beans from Manabi, Esmeraldas and Guayas Ecuador. When we hit our full target? -Nursery for 5000 plants, made of sustainable bamboo structure and algae fertilizers. -Finishing the Micro Family Farm Fermentarie where microfarmers could take their beans or pods: building materials. Single Origin Beans with directed fermentation. Introducing 1 New Andean Flavour of your survey choice (Bar and Clusters) + 100% Chocolate + 70% Chocolate + Partially Roast Cacao Nibs + Raw Cacao Butter. New flavour 1: Nibs + Andean Berries chocolate covered ( Become part of our tasting panel). Bamboo plants ( It will help to retain more water in the field so it reduce the losses of water in summer and keep the land fertile, also bamboo is used for sustainable architecture). Nacional and Fine & Flavour heirloom greenhouse for replanting. 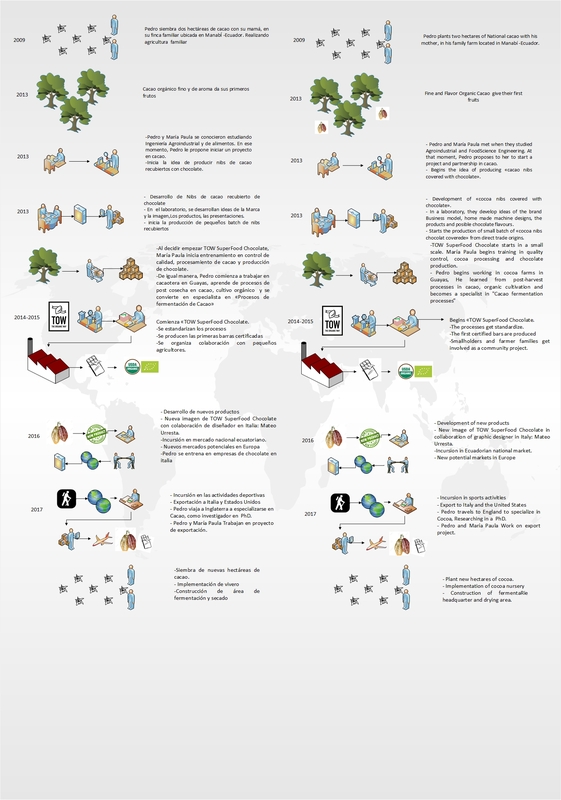 Labelling of your trees with your names and a short video clip with all the micro farmers. This will help to present our product to the European stores and have a headquarter in Bristol UK. "Hey, we have some fab rewards to thank everyone who donates, whatever the amount you might give. Check them out." "Follow us to find out how we're doing!" 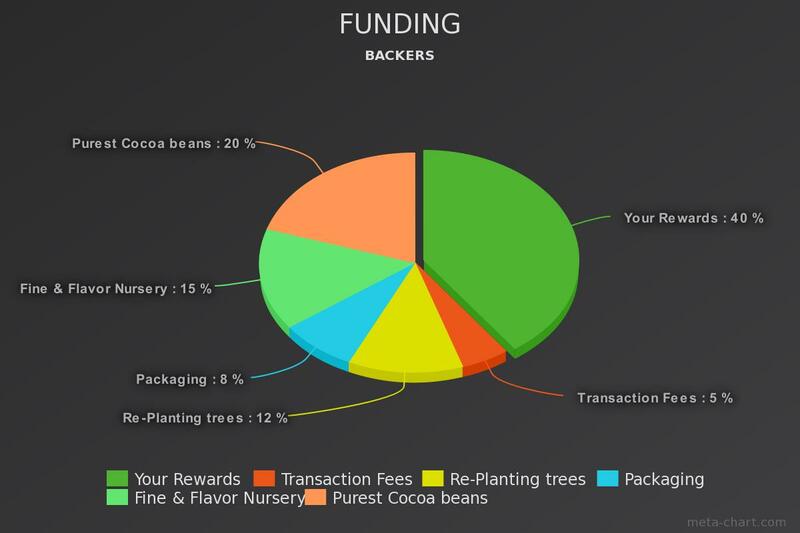 After 4 years of taking care of the trees in an ecological system, the production began and after selling my first fresh bag of cacao beans I realised that it will not be possible to recover the investment. 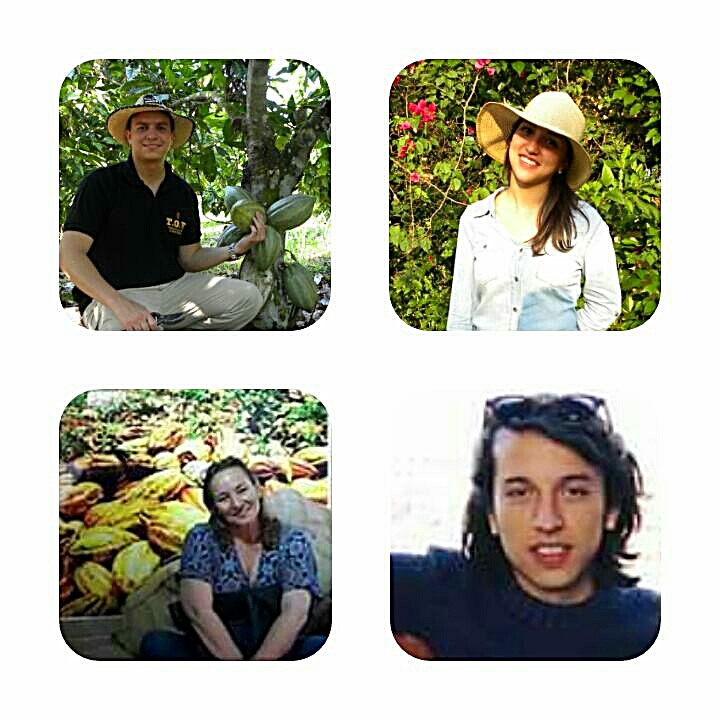 The difficulties in price and cost of maintaining cacao are high and working with my mother in the field was not the best way of increasing the yield. With an income as a small farmer and the low price of traders I decide to start giving added value to the beans and went to work for free to a farm 9 hours away from my city ( Quito). During this period, I was working in harvest, pruning, fermenting and drying cacao beans. Right away after this, I met my business partner(Paula) a colleague from University and we started making small batches of "tree to snack" artisan cacao beans and chocolate so we can show to the world how the hard work of farmers should be recognize and support. During the first years, we were presenting the chocolate in different fairs and stores so we can develop a brand. During these years, I start developing a small farmers collaborations and working with different communities of micro farmers as direct trade suppliers. Interestingly most of the micro farmers didn’t know how to process the cacao beans or hadn't even try the chocolate so with TOW our mission was to develop a business model of presenting the beans and our technical knowledge to develop origin cacao products and in 2015, we got our first organic chocolate certified. 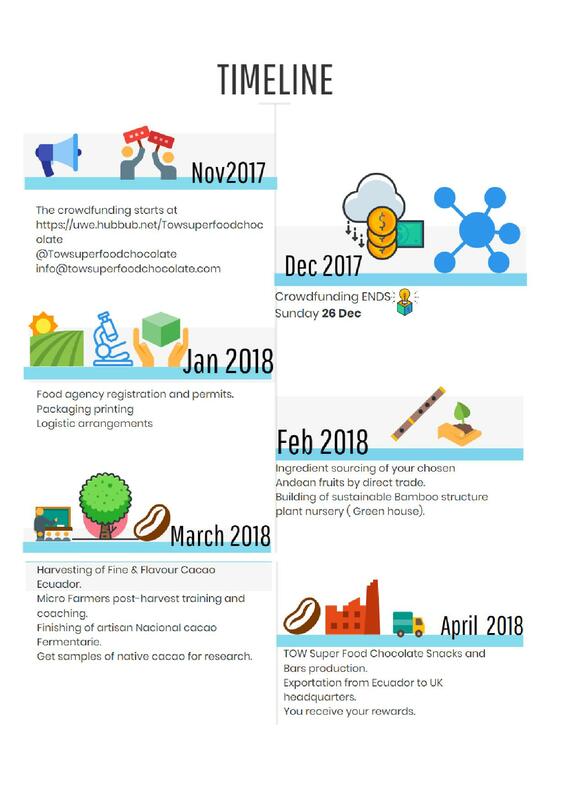 As a Cacao Farmer and chocolate maker, I have learn in the fields that this hard labour is not well paid and it is required to get value added during all the stages of the fruit. Most of cacao beans for chocolate industries comes from small farmers ( 70% worldwide ). These producers, like me rent or owns less than 2 ha of cacao production that represent less than the minimum financial equilibrium for getting a profit.